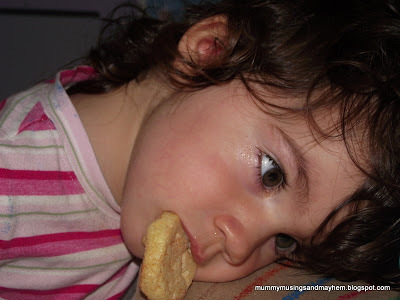 Unfortunately the toddler twosome have had their colds rebound back this week so not much time for blogging. Here’s Ruby trying to eat her rice cake without lifting head….. He starts work at 4pm so not here for the lovely witching hour of dinner, bath and grumping and i have to have dinner ready at lunch time every day so he can take it with him by 4pm. He doesn’t return until the early hours of the morning so sleeps when we are all getting up which only leaves a small window for the girls to now see Daddy before they head off for their nap at 12pm! Hmm, sounding a little grumpy myself I know, but hopefully we will all settle into a better routine soon…..or i may become just a little bit more insane! Do you have a partner or do you work nights? How does your family cope? Any tips gratefully received!! Even though the toddler twosome have been all snotty noses and coughing (that painted a pic for you didn’t it!!) they still enjoy doing some basic craft so I made up another batch of Cornflour Paint Base to do some fingerpainting with. I learnt how to make cornflour base paint many years ago when first working in the early childhood field in a daycare centre as a volunteer! I have actually been surprised to learn when talking to students in the past few years that they often do not know what I am talking about, and just use acrylic paint! I have nothing against acrylic paint but by making a cornflour base and then just adding edicol dyes or natural food colourings you can save so much money, it washes out of clothes easily and is edible (not tasty but edible!)…. so wonderful for babies and toddlers! When you have the base you can make it thinner or thicker depending on the activity you want to do….you can add a little glue and use it as paste, thicker for fingerpainting, thinner for brush painting and collage. This texture is a little thicker as the twins like to mush their fingerpaint! If you go too thick, simply add more hot water and whisk. 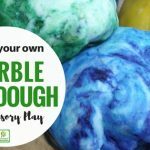 You will need to keep it in the fridge especially if you live in a warm, humid environment but it will last up to 2 weeks and I think the colours are just as good as acrylic and yet they wash out so no need for aprons! You can tell when it has reached expiry as it will smell (bit nasty actually!!) It will thicken (or seem to set) in the fridge but just add some more hot water and stir or leave out a few hours before you want to use and then stir. Pot up into whatever containers suit your purpose! I find old baby food jars a useful size for painting. You might want to keep it white for paste or collage or add some dyes to the base….I add edicol vegetable dyes to my base when I want colour. I think the colours are lovely and bright….you can make beautiful pastel colours too because of the white base! Why don’t you give it a go today and let me know what you think! The process is really only 10-15 minutes of your time and you will have the satisfaction of knowing what’s in your paint and that it hardly cost anything! Why not stop by my Facebook or Instagram pages for more budget friendly play ideas like this one! 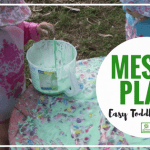 Easy ideas for Toddler Messy Play! Sorry to hear your twinnies have been unwell. Hope they are on the mend! My dad did shift work when I was a kid – 2 nights, 2 days, 4 days off. Now that I have kids I don’t know how my mum managed! Hope you find your rhythm soon. 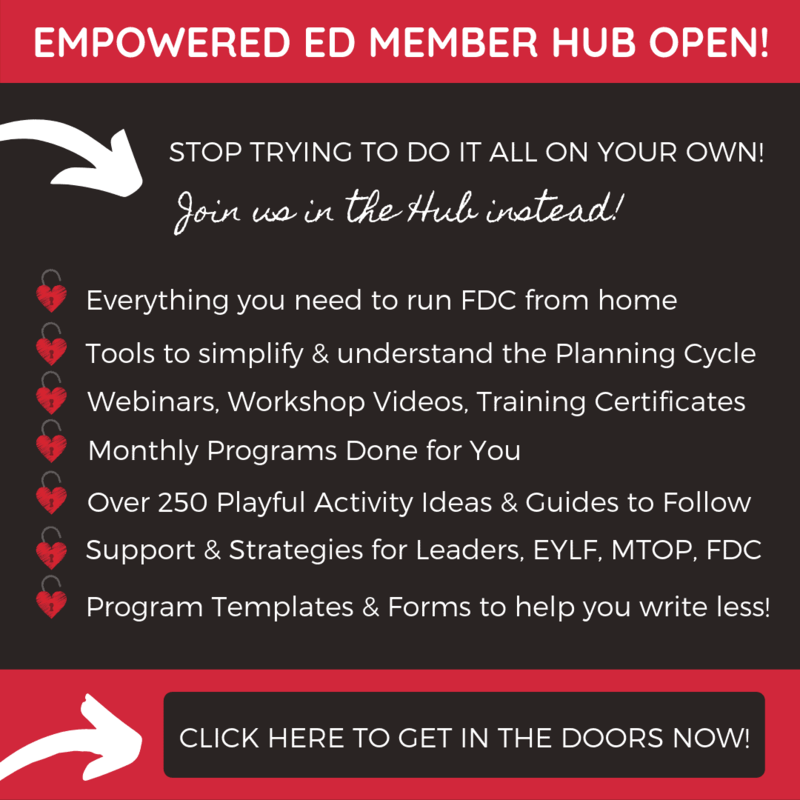 Thanks for pinning Kelly, i appreciate that…i love pinterest but don’t really have the exposure yet…need to find some group boards, lol!Hoping we find our rhythm soon too…thanks for sharing your words and stopping by! Sharon…thanks for stopping by and sharing your empathy!Even harder when grown males get sick i think…the twins may be easier, lol! 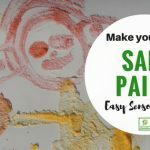 Hope your household gets better soon…and enjoy having a go at the paint, it’s so easy! Hey Jode. Love the picture of Ruby! We’ve had the dreaded gastro, followed by a summer cold. My hubby is thinking of taking shift work on soon. I didn’t think about having to make dinner early! Ouch! I barely manage to get it on the table by 5:30pm! I love the idea of your cornflour paint. Does it mix alright with other colours i.e red and blue to make purple? Do your brushes wash out in cold water? Thanks Jode. Your doing a marvelous job! Hi Amie….everyone around town is down with the gastro and i am terrified of them getting that next, especially since on my own at nights again! I’ve actually figured out it is easier to get one night ahead on the dinners and then he just takes last nights for the next night….because trying to have it done by early arvo is doing my head in so perhaps you could try that too! The cornflour paint mixes well, one of the colours i made was a photo you just can’t see it in the pic really well. Washes out just under the cold tap (one of the reasons i love it!) If using edicol dye it will stain hands for the day but comes out with a handwash or in the bath! Thanks for stopping by…i hope the family feels better soon! Wow! I am impressed by your creativity! I probably won’t have much to contribute but I’m sure to pick up some good ideas. Thanks for dropping by Kimberley..it’s fun to even just click on the links and get some inspiration! Thanks for stopping by Shawn…i think all us tired twin mummies need a time out day, lol! Ugh, the night shift – no fun! Just give yourself some time to adjust and I bet you’ll have it all down pat soon 🙂 Hope everyone gets well again quickly. I has to laugh at that first pic of Ruby. I think I know that feeling! Hi Jaime…yes i think it will be a matter of time!I have often felt like Ruby in the last few days….love that she still tried to eat though! I can’t wait to try out that paint recipe! 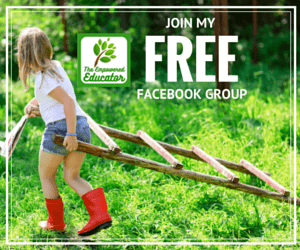 Thanks so much for sharing (and joining up with) the Kids Co-Op Weekly linky! That is BRILLIANT! I’m going to try that for my kids – they are 7 and 9 but they love to paint and it’s been a while 🙂 My husband worked night shift for 2 weeks about 6 years ago… I had 5 kids at home – the youngest two were not quite 2 and 3. It was HARD! I finally got in the groove near the end once I gave up trying to be “normal” and make night shift fit with regular life… it just didn’t happen, LOL. My sympathies to you (especially with the colds)… it’s so hard to have really little ones feeling poorly. Cheering you on! Beauty of this paint is that it suits any age and they can mix the colours themselves at that age to get pastels or brights! Gosh i don’t know how you managed night shift with 5 kids at home! We are beginning to get there i think, creating a new routine and givingg the girls new patterns to help make them feel secure in the time they get with Daddy! Thak goodness the colds are going though!! I love that i know exactly what goes into it Catherine…that and the not staining because then i don’t care that i have red handprints on my bum for the day lol! Hey Jode! Just wanted to stop by and say that I am going to feature you on this week’s coop write up over at ourfeministplayschool. I love this recipe and plan on trying it with Aodhan this week. wishing you wellness and fast recovery. Thanks so much Lyndsay…i really appreciate that! What a fun recipe. Sorry to hear about your twins. I hope they are feeling better soon. The night shift is a hard one to cope with. When we have bad storms my husband sometimes has to work the night shift (he works for the power company). It is not fun. Though we found it was better for the family than the other option of working early morning until late at night and not having any chance of seeing our daughter. Good luck with it! Oh, and thanks for sharing at Sharing Saturday!! I hope your week this week is going better. Thanks Carrie…i love Sharing Saturday! You poor thing, it really is tough with twins that are sick, and I have every sympathy for you. The finger paints look great – where can you buy the vegetable dye from? I also need to start collecting a box of art and craft recycled bits together! I did not realise you did a linky as well, so shall be joining in that in future! Thanks for linking to Family frolics! Hi Kerry….i know you especially would know what it’s like to have sick twins!They seem to be on the mend now thank goodness! 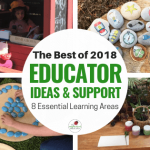 Where do you live?…not sure if in Aus or not but most art/craft places or educational suppliers sell edicol dye (which is vegetable based dye)You can just use food colouring though…the colours just aren’t as bright! Don’t buy tempera or acrylic paint powder as i find it too cakey for a cornflour base and i really don’t think it mixes well. Just google edicol dye but if in oz let me know and i will send you through the online details for where i get mine from! 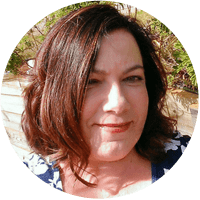 I’m just a co host for the linky, there are over 30 bloggers involved now so it reaches a good audience..love to see you! Thanks so much Allison, i love to visit your blog for inspiration! Hi! 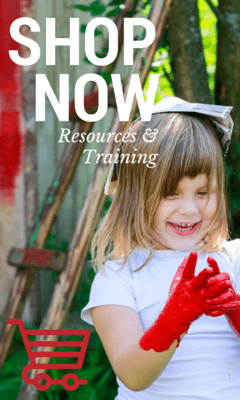 I found your blog via Pinterest and can’t wait to get some cornstarch to make finger paint! Does the paint dry well enough to keep as artwork? I want to make some Easter cards for family and my son’s handprints, and I love the idea of making homemade paint, especially since it is edible. Does it work well on paper? Thanks and I look forward to more projects on your blog! Hi Jenny…glad you found the paint recipe! It dries really well…we used to use it all the time in daycare. The only reason it will flake and crack a bit is if you have lots of lumps in it! Works a treat on paper, alfoil, cardboard etc…let me know how you go! Keep those ideas coming Jode. I’m so happy that you share them with me and my readers at Thriving on Thursdays. Hope your little one is better. I’m featuring this one this week. My partner works in another town 4 hours away during the week so he stays there and comes home weekends (but is so tired from the full on week that he sleeps a lot). We Don’t have any family or friends here so it’s always been just me and baby, and I really find it hard! We are moving to the town he works in soon so I won’t have to put up with it for much longer – 11 months is long enough! Just remember, it could be worse! It doesn’t work for me if I only pour in boiling water. I actually have to put it on a stove on low and pour in water. I love your recipe because it doesn’t call for excessive amount of corn starch. And the consistency came out perfect! Not sure why it didn’t work for you Kay although i have noticed that the gluten free cornstarch they are putting out nowadays doesn’t seem to thicken as well with the boiling water and I tend to have to put it in the microwave for a few minutes. i don’t have this trouble with the home brand ones though so perhaps that is an option? Glad you still got it to work though! Will the corn paint last as long as acrylic paint? Will it work on hemp canvas, plastics and hempcrete? Hi Chass, the artwork doesn’t smell but the made up paint will begin to smell after a week depending on how warm the weather is. Best to make up at the beginning of a week and use by the end of that week. I just make up the paint pots and keep in the fridge till needed each day. the paint will go bad but once painted will it keep if want to save there art? or will it smell or fade? I am wanting to make this paint to use for a Christmas Hand/Foot Print on a Christmas Ornament or a white plate. Do you think this paint will work for that? Thanks so much for replying! Will the paint dye accidentally clothes once the edicol dye is added? Edicol paint powder will not stain clothes – hands stain but it comes out in the bath with some warm water. That’s why I love using it! What is your source for the edicol dyes? Thanks! My name is Annita and I am a first time mummy to my beautiful almost 5 month old daughter Aisling. I have been doing a lot of research for the best method on making safe non toxic paints for Aisling & as I have noticed most don’t have the amount required to make the paint just the ingredients are shown. So I just wanted to thank you for being very clear and precise about how best to make this fantastic recipe for Cornstarch Finger Paint that you posted, I am not yet to try to make it as I am just very concerned about the fact that we live in a very humid to very hot environment (some days 38 degrees & up) and I was wondering what happens when the painting dries can you tell me if there is anything I need to do to ensure it doesn’t go mouldy or get eaten by ants once the painting is dry. Hi Annita, the paintings will eventually go flaky but I have never had difficulty with mould etc once dry and I live in a high humidity area too. the actual paint in posts will go smelly and mouldy after about a week though. I always kept it in the fridge and just thinnned down with a little water each morning I used it.